So my old $15 Logitech mouse I've had for years finally went kaput, so I bought a new fancy Logitech gaming mouse on sale, a G502. Now, and it seems very random, but when the game loads sometimes the cursor movement is very laggy... meaning it's not keeping up with my hand movements by a split second, but noticeable. Does it during game play too, making it impossible to shoot anyone. Then I noticed sometimes it doesn't do it and hand to cursor movement is spot on. Only way I've found to "fix" it is to quit and relaunch the game until it stops. I'm on a MacBook and I have the Logitech software installed and configured. Any ideas on what could be causing this? Only happens in UT, always fine doing regular computer stuff. I have that same mouse (love it but it's a little small for me) and I don't get any lag that I've noticed. I do have a different problem but I doubt they are related. When zoomed in my screen moves in large clicks. I got rid of this once before when I disabled something (mouse acceleration I think) but I can't figure it out now. I suspect my mouse doesn't like my mouse pad but I have doubts about that. Yeah, much smoother and more accurate with more preset buttons, but not too many. I got mine with a huge 20" x 16" amazon mouse pad and thought that was the problem at first. Removed the pad and still had the same laggy issue. It's been behaving better lately, so not sure what's going on. But when it lags, you can just "feel" it's off and can't hit anything. When it behaves, my aim is more accurate than ever. I agree Binger. I don't have huge hands, but I also feel like it is just a bit small, but not horribly. I think it's that way because it's meant for use with a claw grip, which I don't use, I find it uncomfortable and makes my hand cramp. I like the adjustable weights though. I haven't had the screen skipping issue, but I do have mouse acceleration disabled, always have. Have you tried removing the Logitech software and just using generic drivers? 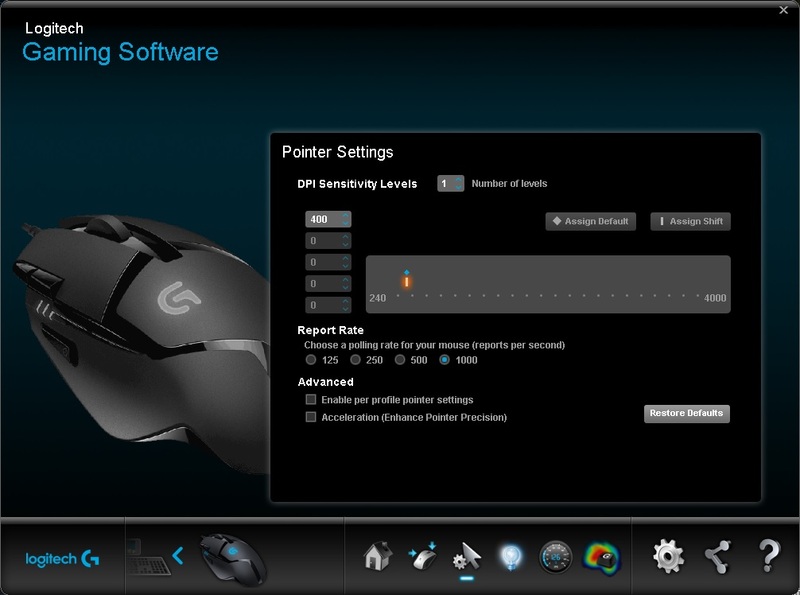 There's a ton of adjustments in the Logitech software, both DPI and report rate. I had to play with them quite a bit to get it right in UT. If they were set to high, for me it made it really bad. I do use it also on my Mac, but I don't play UT much on the Mac. Did you disable reduce mouse lag? @Enyo Can you post your PC specs? 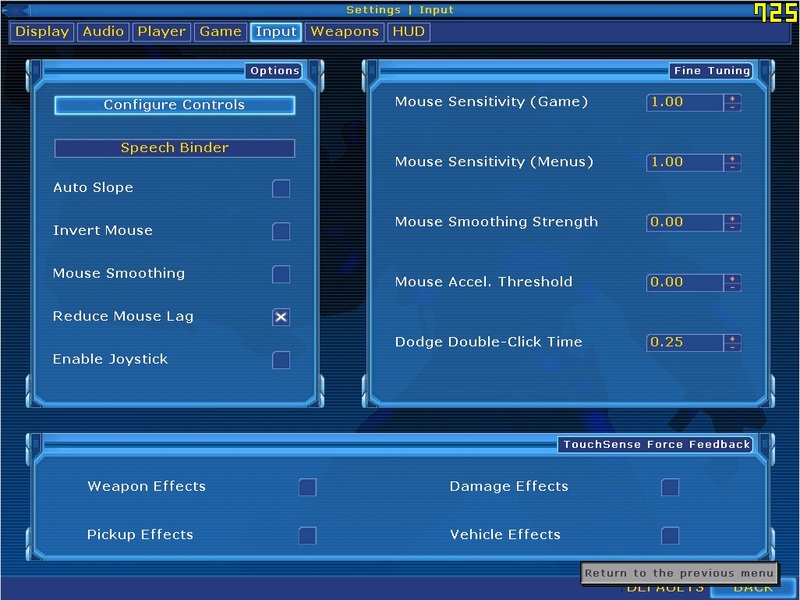 @Anonymouse[Lolz] Is reduce mouse lag broken? If you have a weak PC, you may have to uncheck reduce mouse lag and lower your report rate to 125/250/500 because it uses more cpu power. Here's the thing though when I had my report rate at 125, my mouse cursor was moving like a slide show. But at 1000 it was super smooth. Windows Pointer Sensitivity - should be in the center, on the 6/11 tick. I feel that it helps to not skip pixels. 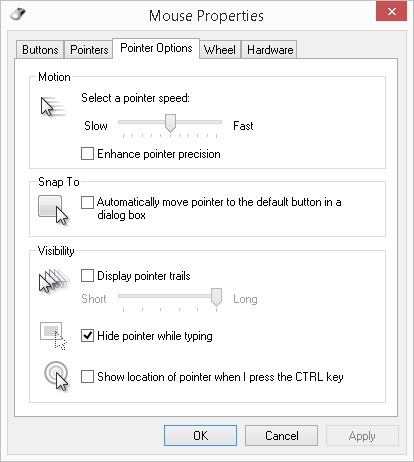 Enhance pointer precision(acceleration) - should be unchecked, so you have a 1to1 ratio of movement between mouse and monitor. Report Rate - I have mine at 1000, to help reduce input lag, definitely uses more CPU power. Thanks for the input but I sorta figured it out. I recently updated to Mac OS X High Sierra, right before I bought the mouse. Ever since, I noticed when I launch the game the screen flickers and blips for about 2 seconds. If I move the mouse even a tap during that flickering, I get the laggy effect. I usually click thru past the intro and clicking sometimes causes the mouse to move a little. So I either wait until the flickering stops or click right before and make sure not to move the mouse. I do that and it works fine, no lag. I tested it several times by purposefully moving the mouse during the flickering and it lags every time. Weird, I dunno... not a big deal since I got a workaround, not worth spending time to figure it out any further. If you don't like the Nvidia Logo showing up as you load UT2004, and you want to skip the intro screen altogether then replace the NvidiaLogo.ut2 entry with NoIntro.ut2. This will speed up your loading time. One thing to note is that if you make this change to skip the entry logo your UT2004 menu music (which is similar to the original UT99 music) changes to the UT2003 menu music. are supposed to be "better" but sometimes after doing one things don't work the way they did before. Disc/Folder/Game images are my friend. with these (in conjunction with all the other sensitivity settings). Most useless question in the world: "what sensitivity do you play with ?" to move their mouse to rotate their character 180deg. That's an answer that is relevant. Oh, and while I'm on my soapbox, DPI settings are near meaningless numbers used to sell the latest and greatest tech to the sheeple. I used to have an MX518 and then a G5! Great mice. I rock a deathadder now though. I have a deathadder, too!